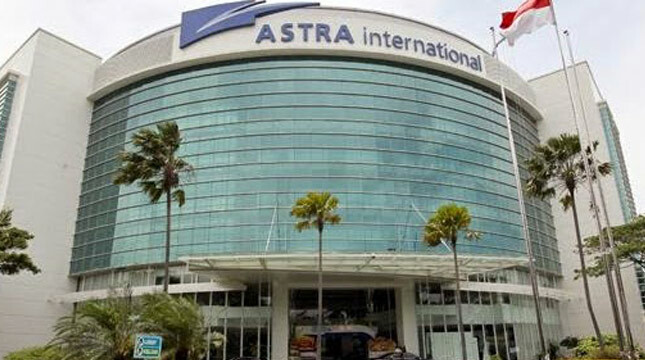 INDUSTRY.co.id - Jakarta - PT Astra International Tbk (ASII), the largest motor vehicle distributor in Indonesia, posted a profit of Rp 14.2 trillion in January-September 2017, a 26% increase from Rp11.3 trillion in the same period last year. "Astra's profit is contributed by seven subsidiaries of Astra's business, namely automotive, financial services, heavy equipment and mining, agribusiness, infrastructure and logistics, information technology and property," said Prijono Sugiarto, President Director of Astra in Jakarta, Tuesday (31/10 / 2010). Prijono said, about 46% of Astra's profit is contributed from the automotive business, which amounted to Rp6, 6 trillion. When compared with the realization of profit per September 2016 around Rp 6 trillion, then it indicates a growth of 10%. "Automotive business profit growth was sustained by increased sales of cars and motorcycles, despite an increase in discounts on the car market," Prijono said. The national car sales increased 3% to 804,000 per September 2017. Meanwhile, Astra's total car sales volume in the same period rose 5% to 444,000 units. Thus, Astra's car market share increased from 54% per September 2016 to 55% per September 2017. That's because Astra has launched 9 new models and 10 revamp models during that period. Meanwhile, Honda's sales volume of motorcycles grew 2% to 3.2 million units during January-September 2017. That resulted in Honda's motorcycle market share also increased from 73% to 75% per September 2017. The increase in Honda's motorcycle market share as Astra has launched 7 new models and 14 revamp models throughout the period. "The heavy equipment and mining business is the second largest contributor to Astra after the automotive," said Prijono. Prijono said that the profit contributed by the subsidiary of Astra from heavy equipment and mining business as of September 2017 increased 80% to Rp3.4 trillion compared to September 2016 of Rp1, 9 trillion. "The increase is due to the profit growth experienced by United Tractors, one of our subsidiaries, in the field of heavy equipment and mining, along with the increase of coal selling price," said Prijono. Prijono asserted, United Tractors profit grew 80% to Rp5, 6 trillion during the first 9 months of this year. The growth was underpinned by improvements in the business performance of construction machinery, mining contractors and mining activities. Meanwhile, profit contributed by Astra from the financial services business amounted to Rp2.9 trillion, or grew 42% per September 2017 compared to September 2016 of Rp2 trillion. While the profits contributed from the business agribusiness, information technology and Property respectively Rp1, 1 trillion, Rp105 billion and Rp97 billion. Meanwhile, Astra's infrastructure and logistics business is still losing Rp66 billion per September 2017.